Ontario credit unions are required to operate in accordance with sound business and financial practices to protect the interest of their members, depositors and stakeholders. In fulfilling its mandate under the Act, DICO has established robust risk management programs. These incorporate a number of publications and tools to assist credit unions in implementing and maintaining appropriate risk management practices in accordance with the standards outlined in DICO By-Law No. 5 . The Reference Manual provides best practices for each of the standards of By-law No. 5. Workbooks have also been published to help credit unions assess their compliance with the standards in By-law No. 5. 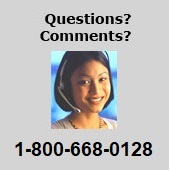 Annually, each credit union is required to confirm that it is in compliance with the standards. Guidance notes have been published to supplement the Reference Manual for higher risk areas. The Director's Handbook and The Audit Committee Handbook have been specifically designed to assist directors in undertaking their legal responsibilities under the Act and in helping ensure that their credit union remains strong and successful. DICO established advertising standards and developed pre-approved messages to help credit unions and caisses populaires when producing advertising materials and to reduce the need to obtain specific approval for advertising messages. These messages may be used in the development of advertising material for print (including newspapers, signs and posters), telephone, radio, television, the Internet and other electronic media. In all advertising the primary emphasis should be placed on the credit union's services and products, and not deposit insurance coverage. Comparative advertising of deposit insurance for credit unions with deposit insurance of other types of financial institutions is not permitted. For example, no comparison can be made to insurance coverage provided for banks or federal credit unions through Canada Deposit Insurance Corporation (CDIC). Reference to deposit insurance is restricted to advertising of deposit products only. In situations where deposits, mutual funds and equity or investment shares appear in the same advertisement, any reference to deposits must be presented in a distinct section. 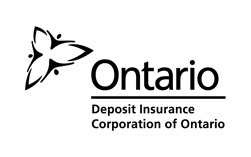 Any reference to deposit insurance coverage must only appear in the section on deposits. Any advertising of deposit insurance coverage on the Internet must comply with requirements of the pre-approved advertising messages. The brochure Your deposits are protected and DICO`s Decal are available on DICO's website. As the use of the DICO logo in any form of advertising is not permitted, credit unions are encouraged to provide a “hot link” to DICO's website preferably situated on their home page/opening page. DICO's By-Law No. 3 prohibits any form of advertising to indicate that deposits are insured unless written approval of the Corporation has been obtained or the Corporation has provided pre-approved advertising messages .